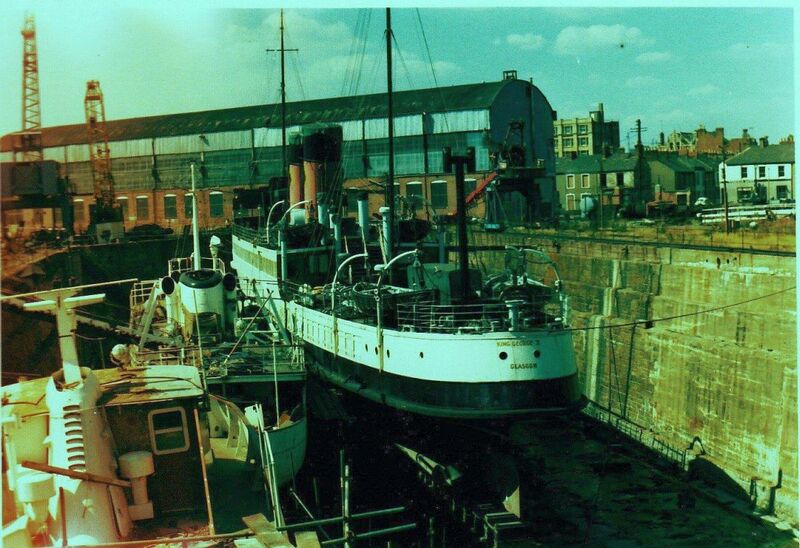 Employed an advanced arrangement of turbines and two very high pressure boilers. 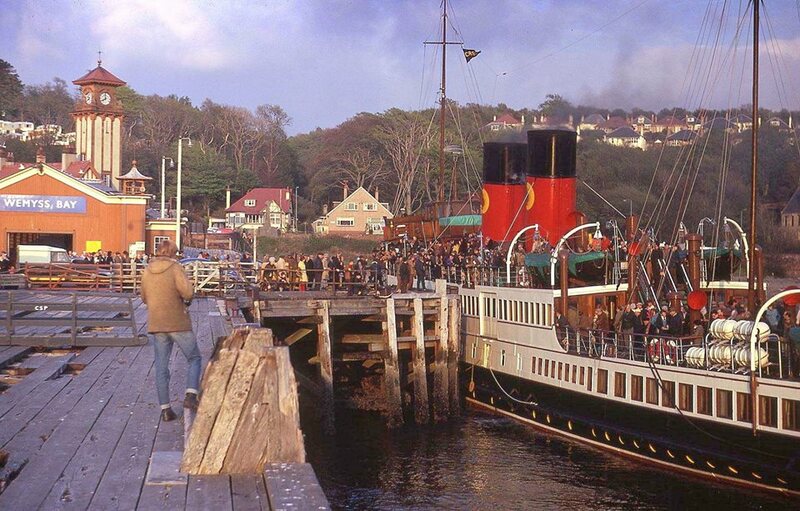 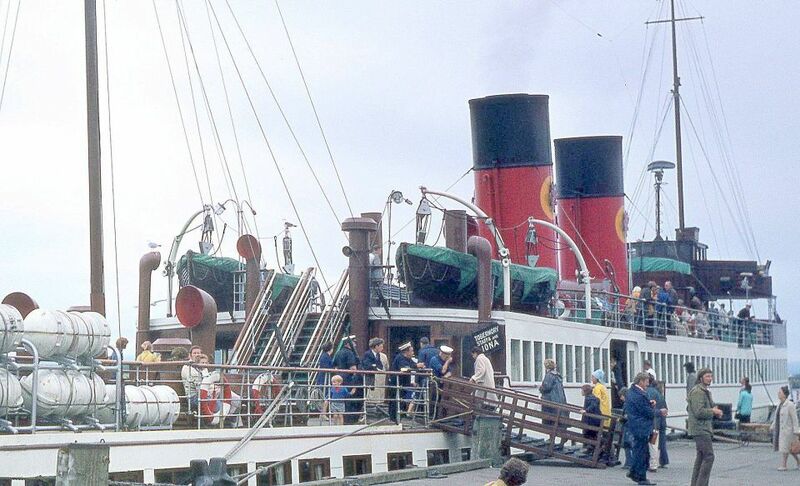 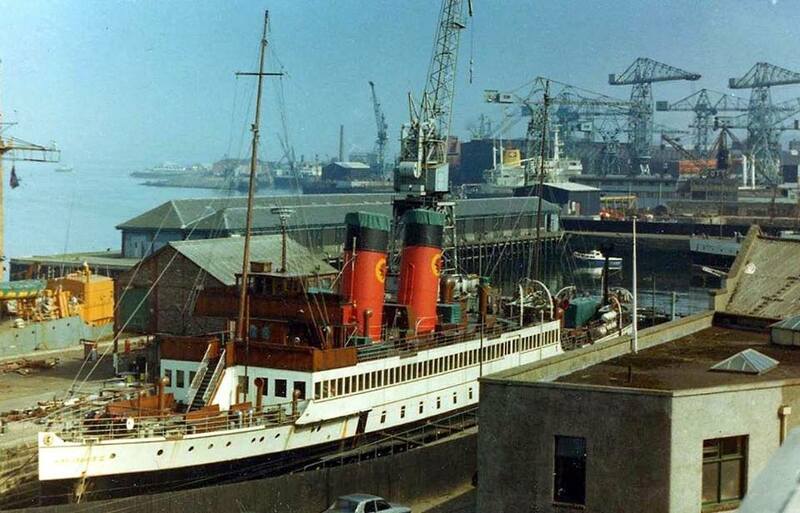 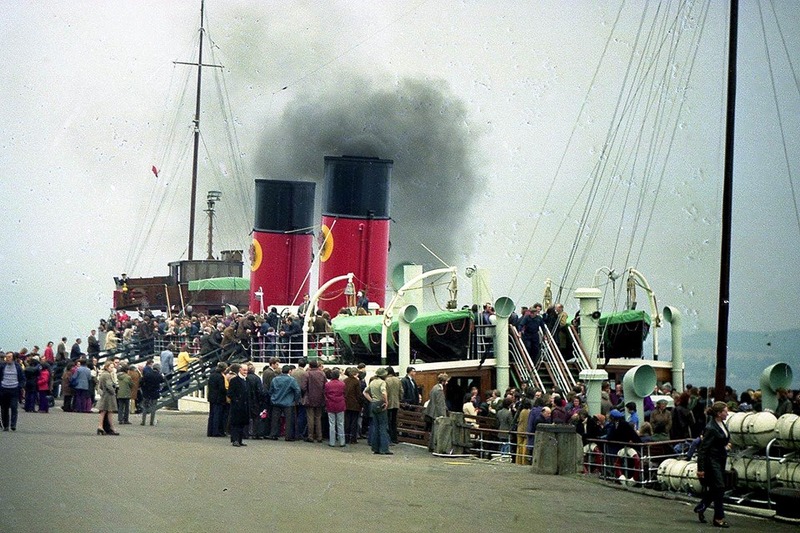 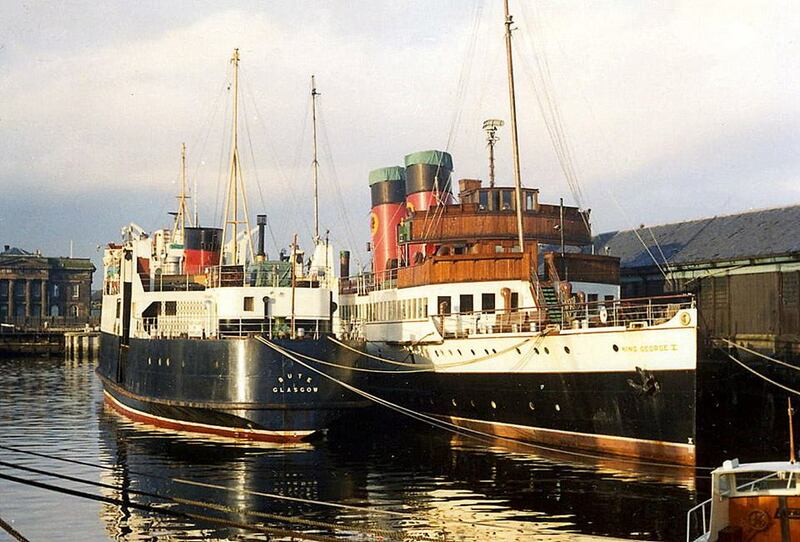 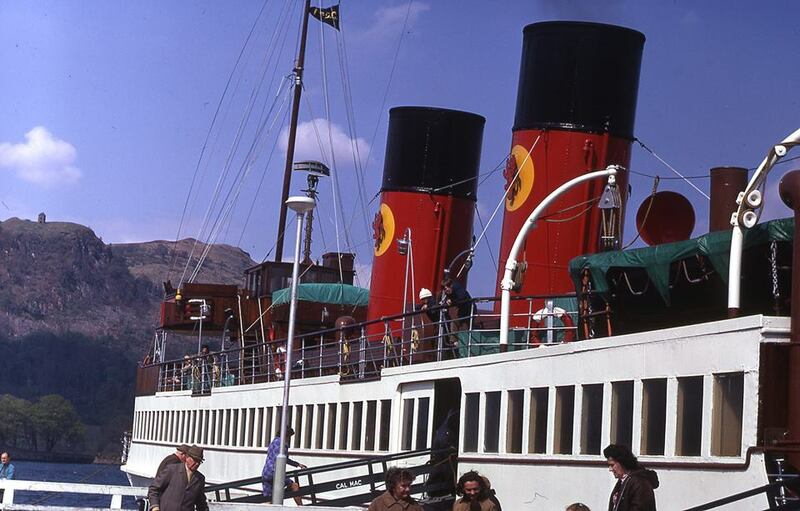 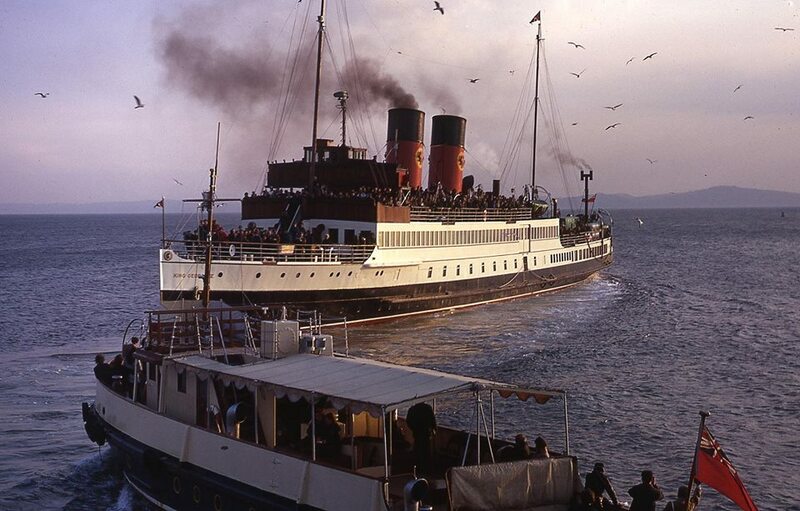 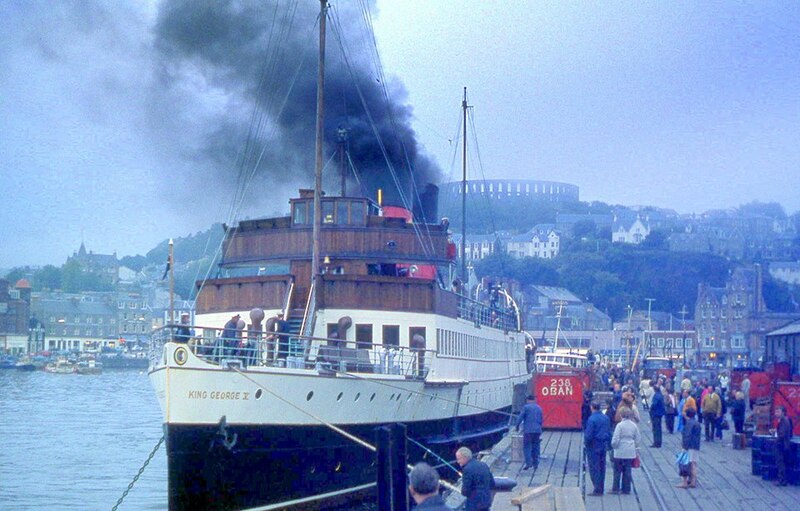 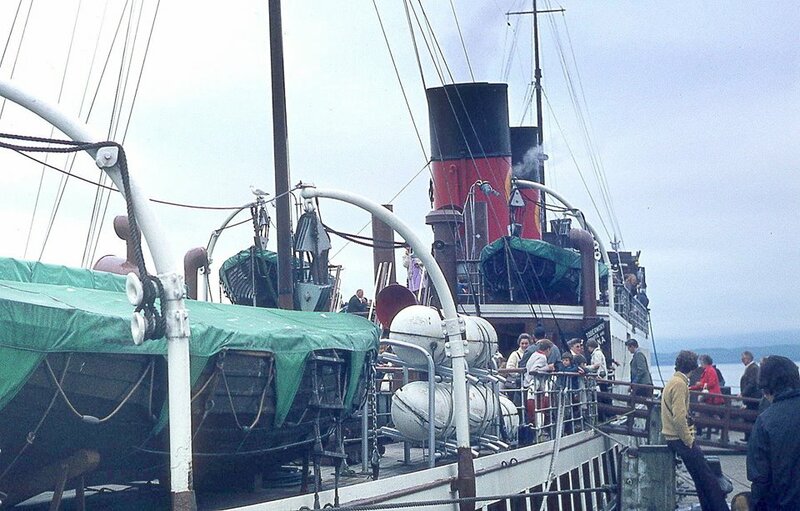 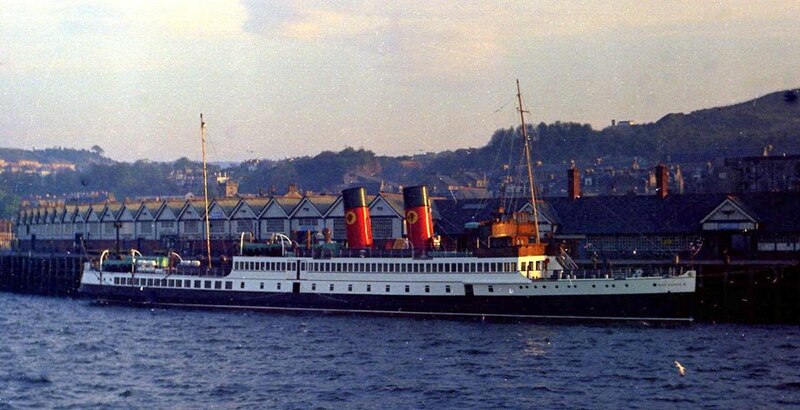 Made occasional return visits to the Clyde, including the summer Ardrishaig mail service in 1946 and on charter to the CSP in early 1971. 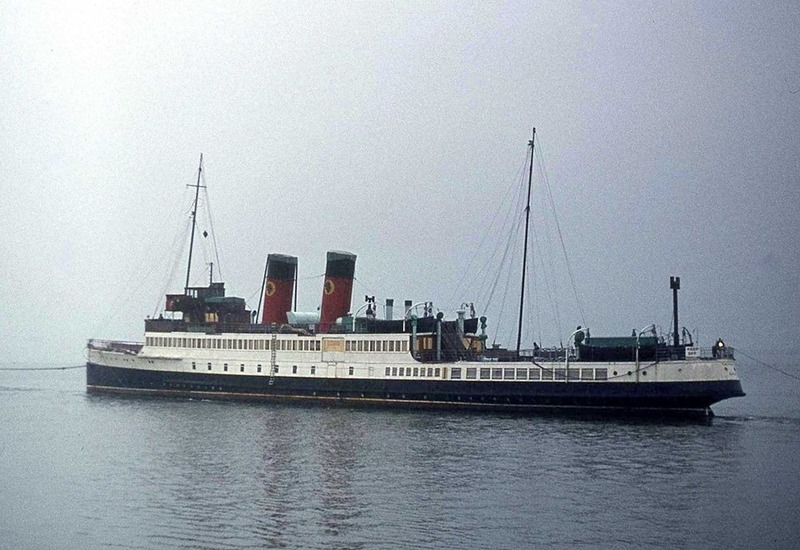 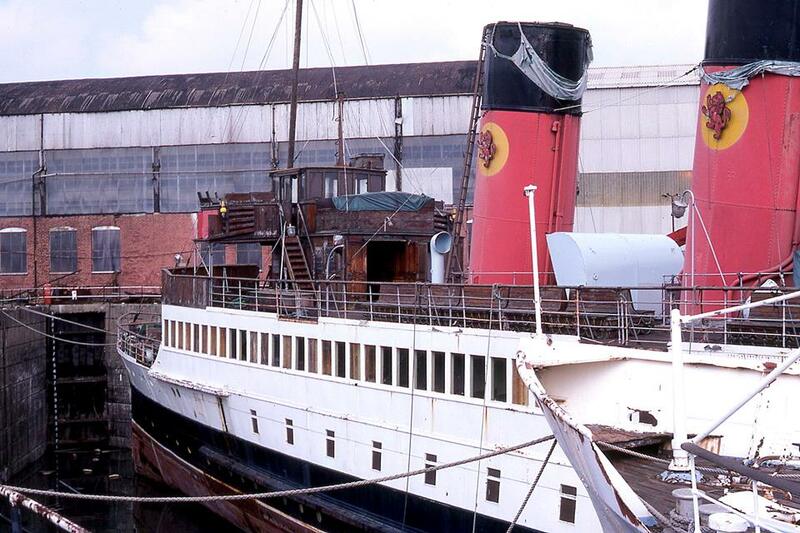 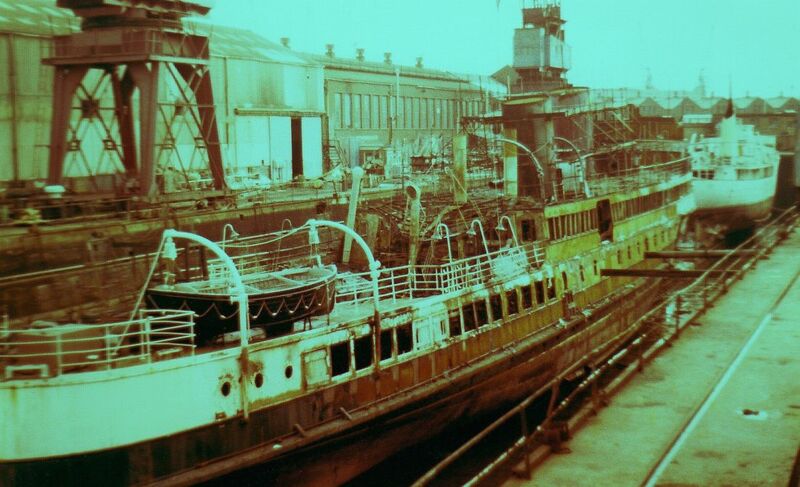 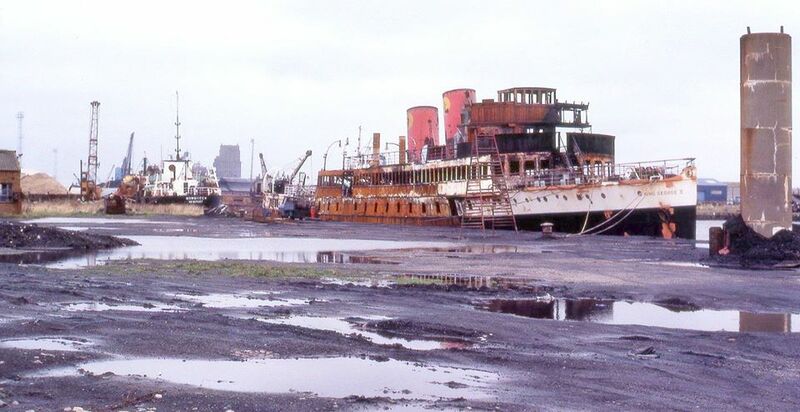 After withdrawal, languished as attempts at re-use as a restaurant in South Wales foundered and she was laid up in a dry dock in Cardiff.